I’ve basically lived in hotels and hostels for the past 4 years, so the process of renting a property was something completely new to me. To be honest, I had no idea where to start the search and what to expect for prices. The process was made more difficult for me due to the fact that I spent the holidays in Bali when much of the prime real estate doubles in value and books up quickly. Still, I was able to make a rental agreement even before arriving on the Indonesian island. This is my advice if you’re trying to rent an apartment in Bali. Should you Book before or After Arriving in Bali? This is obviously going to be up to you, and also the time of year you’re planning on visiting. I was in Bali over the holidays, so I wasn’t really comfortable just turning and wishing for luck. I ended up making the decision to just sort everything out before coming. This time of year, it was probably the right decision. If it were the low season, however, it probably would have been more expensive. That being said, it really all depends on your trip. If you’re planning on spending a week or a couple nights, you might want to book in advance. If you have the luxury of time, you can probably just turn up and look around. Where to Find Renters in Bali? I ended up finding my place by looking online. I joined a couple groups on facebook, and made some connections through there. That was a pretty successful strategy although I didn’t end up renting from anyone there. AirBnB was also really good, but the truth is that even apartments stating a certain price might end up quoting you more depending on the season. AirBnB is good, however, because you can deal directly with the owner and negotiate a price specific to your stay. In the end, I found my owner via Craig’s List of all places. The owner had a property listed on AirBnB as well. If you’re looking online, AirBnB is likely your best bet in Bali as it seems the owners really use this means to sell more than anything. If you want my contact, check out “word of mouth” below. In many of the coffee shops in both Kuta and Seminyak there are often fliers for renting apartments and villas. These are often the best deals on the island. You should also be able to find a place this way up in Ubud. Of course, it might take you a couple days to find a place. Almost everyone knows someone who is renting an apartment or villa in Bali. Of course, this way is a bit tricky, but can be very effective as well. What Part of Bali Should you Stay? This is an answer I wish I knew before I rented my apartment. Though I really had a good place, I wish I would have known more about the island before booking. I probably would have chose somewhere outside of Kuta/Seminyak. Near the beach, and the heart of the party zone. This part of Bali is for backpackers and party animals. 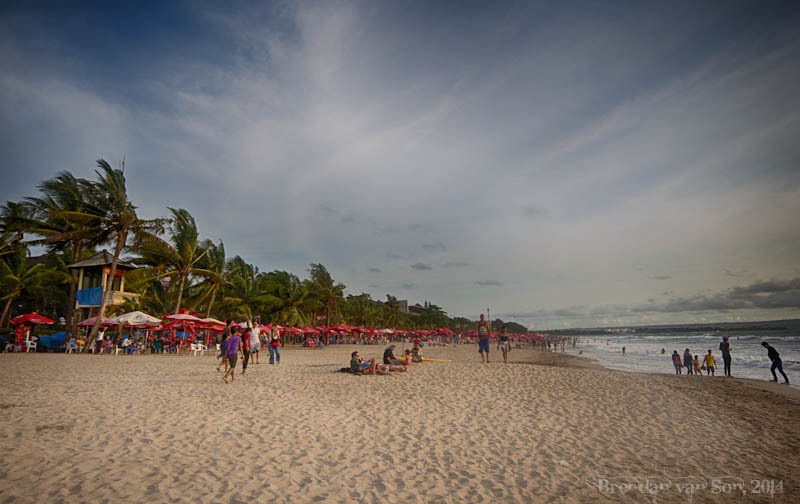 If you’re looking for some quiet, you’ll need to be a block or two on the opposite side of the beach from Legian. If you’re looking for a good party, the street to look for a place on is Poppies 2 or one of the cross-roads, although you’re likely to find only hotels offering rooms. Up the beach from Kuta, this is basically Kuta for adults. There are some nice villas in this area and the vibe is less “party” than Kuta. The beach can be nasty here if a storm hauls all the rubbish from the rivers. There was lots of trash on the beach when we were here in December, but when we had just arrived, it wasn’t as bad. A much more chilled out location than Kuta or Seminyak. This would be a good spot if you wanted a bit of the city, but also didn’t want to be in the heart of the tourist zone. This is also a good place to be if you are hoping to go on boat excursions out to Gilli or Lombok. It’s also a decent place to base if you want to do some diving. Famous for its yoga, Ubud is very touristy, but easy to escape the tourist zones. There are lots of good services here and the temperatures are much cooler than down near the coast. You wont have a beach up here – it’s about an hour’s drive to Kuta Beach or 30 minutes to Sanur – but you’ll likely be living among the rice fields. If I could do it again, I might have stayed up here instead of near to the beach. If you’re a surfer, this is the place to be. You’ve got some interesting beaches, and lots of really nice waves. It gets a touch touristy here, but it’s not so bad. If you’re hoping to rent out here, you’re best bet is just to arrive and ask around. Maybe a bit of a stretch if you’re staying for a long time, but the Lovina area is cool. There is a laid back atmosphere and you’re likely going to be just steps from the water. Your best bet over here is to ask the hotels for long term rentals. The place we stayed was called Gede Bungalows Guesthouse and cost $15 a night. I’d be willing to bet they’d take someone for a month at $300 for a room. How Much will it Cost to Rent in Bali? It really depends. The truth to renting in Bali is that not only is it about location, but also about the quality, if there’s hot water, if there’s internet, etc. You can likely rent a bare bones hotel room for $200-250 a month, even in the heart of Kuta. However, if you want a fancy villa you’re looking at about $100-150 a night in the high season. To give you an example, we had 3 people in a 1 bedroom house with kitchen area. The place had air conditioning, wifi, satelite tv, and daily cleaning service and it was $750 for the month. Most other places we looked at were around $600-800 although we were around in the high season. My guess is that if you’re looking for a one-bedroom apartment, you should be paying about $500-600 a month in the off season, depending on the location. If you want just a nice room in a building with no kitchen or anything, you can find that for $300-400. If you want a villa with 2 bedrooms, expect a price range of $1000-14000 for the month. Obviously there are benefits to each. I went with an apartment because I needed to save a bit of money but also wanted things like a kitchen. If you’re not going to be cooking much, just get a hotel room as it’ll save you a lot of money. It was nice having a fridge and stove, but I could have lived without. If you’re thinking about getting a Villa, it’s a great option for a family on vacation or a group of friends. For example, you can get a 3 bedroom villa for about $1400 a month. If there are 6 of you, that’s a pretty good deal per person. You’ll also have more privacy than at a hotel or apartment, and likely even your own pool. Questions about Renting in Bali? If you have any questions, please leave a comment and I’ll try my best to answer. I’m hoping to relocate in Oct 2015, for 6 months initially. Are there any other additional upfront costs such as bond in advance, utilities etc that I need to consider ? Nope, there shouldn’t be. Most places don’t even require a security deposit. When you rent an apartment in Bali from a local, usually all the utilities are included, just be sure to ask. Some times they might have a charge for water use, but it’s rare in my opinion. I agree with the prices. We paid a lot more because of our location. It’s also harder for people to get a place before arriving. You have to resort to AirBnb which is always too expensive. If you have the ability to go there and then find a place after arriving, you can save loads of money. I’m sure something like $400 a month is very possible. Hi! Great post…what do you think is the best strategy for just turning up and looking for a place? Like if it’s not advertised on the web somewhere how do we know where to find a place? Hello Brendan and Rutgers. came across this. I’ve been to bali many times and it will be first time staying longer than 1 month. I was curious where you are staying and if they have more room there? Thx. 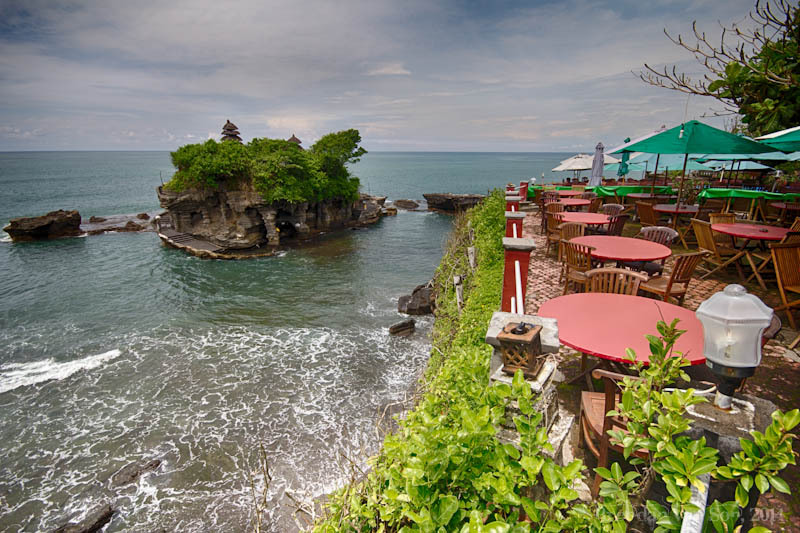 Hi Rutger, I’m interested in hearing more about your experience with living in Bali (Cost, hints and tips, general knowledge) If you could email me that would great. What part and where do you live, I’m looking to relocate. Would love you know who to contact. Hope this reaches you. Would love to find out where you live or lived while in Bali as I might be staying there for a while. Please contact me if you get this. And thanks for having this site Brendan! Hi Rutgar could you point me in the direction to find similar accom to what you mentioned – however I will only be committing to month to month , would that change things? hello rutger, i am looking to rent for a month or two starting May 2017. where can i get such services as u mentioned and what price range. I am in India now, Bali for three months starting March 26th. Happy I came across your blog. Close to each other but I figure renting a scooter is a good idea, no? I’m in Bali for my first week and then figured I’d figure it out last there. Also, I have some questions about blogging, traveling and the attempt to make some income while I do them respectively. Would you be open to some Q&A about that? I’m looking to relocate, is there anything I need to know if I wanted to relocate permanently? Vehicles? Banking? Safety? Anything would be helpful. Hi, I’m looking for an apartment for august with 2 room in Sanur. Any suggestions? I’m looking to allocate per mentally to valiant need to know the best near the sea to rent at a very reasonable cost per month, can anyone offer me any advise on this. just came across your site! One question please: when you where renting long-term in a hotel somewhere, did you have some type of agreement covering the terms+conditions? Does something like that exist? We are considering renting an apartment for a year in Sanur and want to avoid any “misunderstandings” what is included and what’s not later on.